GEPR HOME >Health issues along the Fukushima coastline: Radiation is not the enemy! Health issues along the Fukushima coastline: Radiation is not the enemy! 28 February 2011, I received a letter of acceptance from the Master of Public Health (MPH) course at Imperial College London, where I was planning to study the epidemiology of rheumatism. I could not imagine that in 11 days’ time, an event would occur that will totally change my career. After I finished my MPH course, I interned at big and prestigious organizations such as Public Health England and the World Health Organization to learn more about global disasters. However, being rather a practitioner by nature, I became a lot more interested in the hands-on learning at the scenes of disaster recovery. After studying abroad for two years, I settled here, in Soma City, a town located in the coastal area of Fukushima. It was not until I settled in Soma that I realised how much prejudice people have against this place. However hard we work to properly measure levels of radiation and to publish this data, we are still faced with a bumpy road to wipe off the prejudice against Fukushima. I do not deny that radioactive substances from the nuclear power plant do exist in the soil of Fukushima. I have estimated the level of radiation as ‘safe’ on an individual basis, and have settled here. Some may consider the same level of radiation as ‘unsafe’. I do not wish to impose my standard on others because the sense of safety is a subjective issue. However, by talking only about the health impact of radiation (which in reality none has been reported so far) we are actually facing the bigger problem of overlooking the “clear and present” health hazards in Fukushima, leaving many suffering residents ignored. Numerous health problems have emerged in Fukushima during the three years after the disaster. Almost all of these problems are NOT caused by radiation. More importantly, most of the health deteriorations could have been prevented even after the nuclear accident. Here, I present three examples. Immediately after the accident of Fukushima Daiichi Nuclear Power Plant, the Government designated several types of evacuation zones according to their distance from the plant. Areas within a 20 km radius from the plant were called “restricted areas” and any access to these areas was prohibited. The areas located 20 – 30 km from the plant were called “deliberate evacuation areas”, where the residents were ordered to stay indoors. This order was not totally off the mark since external radiation can be avoided by staying indoors. However, something unforeseen happened. All those in the deliberate evacuation areas who had the means to leave their homes evacuated. Moreover, most if the distribution companies prohibited their staff to enter the areas within a 50 km radius, following their obligations to secure the safety of their staff. As a result, the most vulnerable populations were left behind without any food or medical supplies. These people were the elderly who had no vehicles or access to information, and patients and their caretakers who could not leave the hospitals. The people who were left behind were not the only people who suffered; those who evacuated are also facing difficulties. According to one report (1), the mortality rate among residents of nursing homes that evacuated increased up to 3.9 times. There are several possible causes: drastic change in living environment could have been too much of a burden for those with limited adaptability; long-distance journeys could have put on extra mental and physical stress; or ill-prepared transfers could have led to miscommunication and poor treatment. A similar situation had occurred for elderly but healthy residents. According to a medical check record (2) conducted in Soma City in 2012, instability in walking (not being able to stand with one leg for more than 15 seconds) among the elderly who had stayed at temporary housings was five times higher than those who had stayed at home. Considering that many of the residents at temporary housings were former fishermen and farmers and that the average grip strengths were higher among this same group, this result suggests that one year of living at temporary housings had rapidly deprived them of leg strength. Another example is thyroid screening. Some may wonder why receiving a non-invasive ultrasonography, free of charge, could be harmful. I also didn’t understand the adverse event caused by the screening until I joined in a symposium (3, 4, 5) in August 2014. 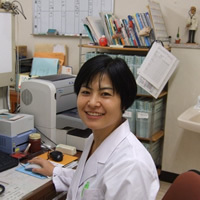 In October 2011, Fukushima prefecture implemented a thyroid ultrasound examination program for all children under 18 years old. This screening for baseline thyroid cancer prevalence data (“baseline screening”) was conducted until March 2014, after which “regular thyroid examinations” began in April. The symposium was held in response to the initiation of the screening. Its objective was to hold an open dialogue about the impact caused by the screening. One of the participants at the symposium expressed her concern that the screening has re-fuelled the stigmatisation against Fukushima: “Outsiders say “the fact that the screening is taking place shows that Fukushima is a dangerous place.’” Another person talked of the mental stress they felt when their child received ‘A2’ results, meaning there is a small cyst or nodule. Above all, the concern for the possibility of over-diagnoses and over-treatment (6) was significant. Over-treatment is sometimes thought to be the result of doctors actively conducting unnecessary operations. However, in reality, there are many occasions were the parents of a child patient strongly push for early surgical operations against the doctors’ recommendations to wait and see how the cancer develops. There is a possibility that a thyroid cancer will be found as a result of the thorough screening, which may not have been detected otherwise. If the detected cancer is large enough, a medical doctor will recommend surgical operation. However, some cancers are never found, and it may just be because of the thorough screening that this cancer is found. The operation has some risk of complication and may leave a scar on the neck. If you receive an “A2” result or “need further investigation” result, you and your children are likely to feel strong anxiety until the next testing. The disaster in Fukushima is not yet over at all. Neither is this “disaster” caused solely by radiation itself. I dare say that the most dreadful factor is the “good intentions” strewed in Fukushima. There is an old saying that goes ‘The road to hell is paved with good intentions’. What I have seen during my six month in Soma so far tells me that the same is true here, in Fukushima. I believe that most of the people who magnify the fear of radiation in Fukushima are good-hearted people who genuinely worry about the children in Fukushima. In the same way, no policies or plans were aimed at harming people: the planning of evacuation zones, order of evacuation and thyroid screening... none of this was done with ill intent. This absence of malicious intent is something we must deeply reflect upon. There is no malice in any one individual or organization. But good intentions can lead to evil. Only when we accept this, can we start to get a holistic view of the suffering in Fukushima. As long as we are trapped in a narrow-minded state, searching for targets of accuse, blame, and criticise, the suffering in Fukushima will only increase and spread. What is happening in the coastal area of Fukushima is not an exceptional situation called radiation. “Invisible threats” are causing health problems almost every day, all over the world. Ebola, bird-flu, sarin and anthrax attacks also threat social disturbances because of their invisibility. Unless we learn from the cases in Fukushima to develop more resilience in our society, we may yet again see unnecessary victims suffer if we should ever face a similar threat. Once you are able to think beyond “radiation”, once you come out of the emotional thought bog, the situation in the coastal areas of Fukushima provides us with many clues to improve our society. Of course we all wish if the disaster had not occurred. But it did occur and the best we can do is to make sure we learn from this disaster and use the wisdom that the disaster has taught us to make our society better. This, I think, is the only way we can take revenge on the disaster. Shibuya K et al. Time to reconsider thyroid cancer screening in Fukushima. The Lancet 2014; 9932: 1883 – 1884.
a prescription for change. The Lancet 2014; 15:e234–e242.